Marie-Michele Fillion is an artist coach who has an extensive experience in theatre, music, visual and digital arts, film, and publishing from both the corporate and non-profit sectors. After spending more than a decade working with artists, and managing artistic projects for cultural organizations in Montreal and Europe, she now dedicates most of her time to coaching and training for artist-entrepreneur, and oversees the Business Skills for Creative Souls Program at YES Montreal. On an annual basis, she works with over 600 artists of all ages and all artistic disciplines. In addition to her extensive experience, she is currently working on a series of case studies which emphasize the importance of the role of the artist-entrepreneur and their contribution to an expansive ecosystem. 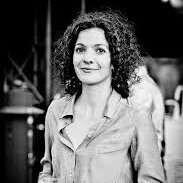 Marie-Michele holds a master’s degree in Management of Cultural Enterprises from HEC Montreal, and a master’s degree in Theatre from Université du Québec à Montréal, for which she did an internship at the Paris Opera Bastille.